Islamabad’s I-16 was launched some time ago, but in the last few months it has caught everyone’s attention as the Capital Development Authority (CDA) has announced that it would ensure timely development of the sector. As a part of its anti-encroachment drive, the CDA has removed a number of land encroachments from this sector because of which the people are now optimistic that the sector will be making headway. There are a number of reasons why this project is a good option for investment now. Sector I-16 is close to Islamabad International Airport (IIA). Close proximity to the IIA will allow this project to emerge to prominence. there is news of construction on Capital Highway from Kashmir Highway to the IIA. This direct access will answer all the major grievances of the people who already reside here or plan to. There’s no doubt then that this road is pretty busy and not in a good condition. As a result of this, many people who had invested in the project to build their houses, are now holding onto their property, as they wait for the road to be constructed. Apart from this, the internal development of the sector has been completed since a few years now. All utility connections except for water have been completed. However, CDA will soon provide a water supply connection to the sector, which will rid people of the hassle of water boring, which they have to do on a regular basis. Roads, streets and plotting has already been done, and a number of houses have been constructed, as possession is available. Previously, more focus was being put on the construction of apartments in the sector as more investors seemed interested. However, with the operation of the IIA, the project is now attracting interest from everywhere. The project has good prospects, and especially when newer developments will take place, the project is bound to gain momentum. the prices of plots (5-, and 7-marla) have increased by 50% in the last year alone. He expects that prices will further increase in the coming months. 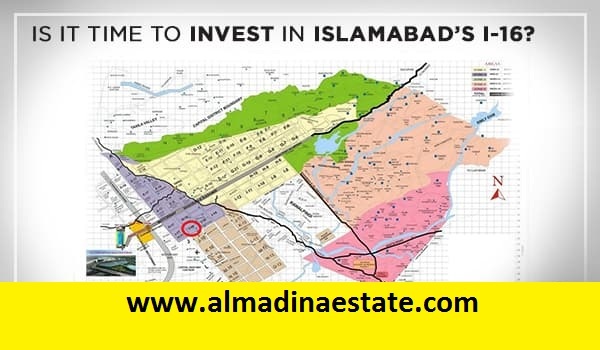 The price of a 5-marla residential plot ranges from PKR 3,000,000- PKR 4,000,000. With new infrastructural developments and construction, another 50% increase can be expected for the next year.